The 2017 Angel City Games is open to participants of all ages and ability levels with any physical disability or mobility impairment including the blind or visually impaired. Space is limited for each clinic and competition. Click here to register. Start your Angel City Games experience with an opening night BBQ & party in Drake Stadium. Food, drinks, live music – it’s a great way to kick off the 2017 Games! Ticket price includes a catered BBQ dinner, soft drinks plus entertainment at our main stage. PURCHASE TICKETS HERE! The 2017 edition of our annual Celebrity Wheelchair Basketball Game features Hollywood stars Kenny Johnson (The Shield), Jacob Bertrand (Kirby Buckets), Najee Detiege (Power Rangers), sports stars Josh Freeman (NFL), Lisa Marie Varon (WWE), and more teaming up with US Paralympic legends Trooper Johnson, Alma Rodriguez & Matt Scott. PURCHASE TICKETS HERE! A great place for families, friends and fans to try adaptive sports! The Fun Zone Experience features Wheelchair Basketball, Rowing, Golf, Curling, bounce houses, obstacle courses and all sorts of games and activities. Access is FREE with your Games Spectator Ticket. PURCHASE TICKETS HERE! VOLUNTEER at the 2017 ANGEL CITY GAMES! BE A VOLUNTEER at the 2017 Angel City Games! 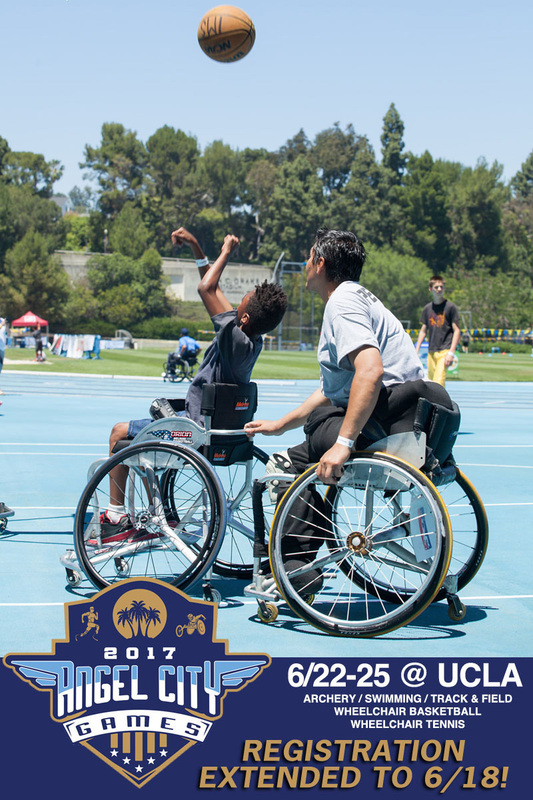 The annual Angel City Games is a great opportunity to connect with the local community and be a part of the adaptive sports and Paralympic movement in SoCal! We have volunteer shifts throughout the 4 days in a variety of roles – athlete support, sport management, event production, check-in, marketing.